In a medium bowl, combine all ingredients until blended. Sauce may be made up to 2 hours in advance. Cover and refrigerate until serving. Place chicken breast in a plastic bag and add Italian dressing. 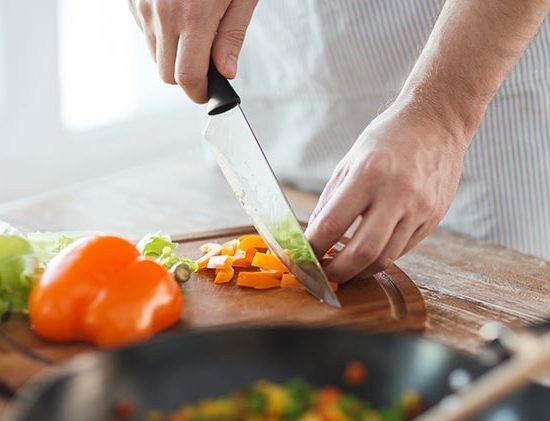 Let the chicken marinate for 15 minutes; pound (using a meat pounder or mallet or the bottom of a skillet) and flatten to about 1/2-inch thickness; remove chicken. In a large non-stick skillet over medium heat, cook chicken breast about 5 minutes per side or until nicely browned and cooked through. Place chicken on a cutting board and slice thinly against the grain; set aside. Warm pitas in microwave oven for 30 seconds. Place one pita on a plate and spread 1/2 cup of the lettuce and 1/4 of the chicken slices on top. Sprinkle 1/4 each of the tomato, onion, Feta cheese and olives. Spoon some of the tzatziki sauce over top and fold in edges of pita. 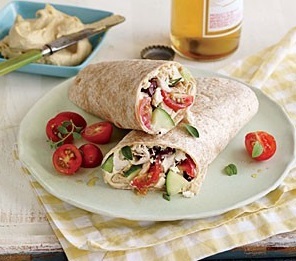 Wrap sandwich in parchment or waxed paper for plating and serving. Repeat with remaining pitas. Serve immediately with additional sauce on the side.